For my 40th birthday celebration, I wanted to give everyone a little somethin’-somethin’! Since my husband invited my closest friends and family, all 150 of them, I wasn’t quite sure what to give that wouldn’t break the bank. After all, he was already spending a pretty penny on making the extravaganza of the decade for me. As is often the case when I’m in any home or craft store, I had a brilliant idea for a gift as I was strolling down the aisle of tile at Home Depot one day. Magnets. YES! Magnets. Everyone uses magnets. Showcasing your kids’ art. Displaying all those cards at Christmas. Posting up a sweet note to your hubz. Magnets are so practical and universally applicable! This would be the perfect gift to give the masses. I started by buying several sheets of 2″ x 2″ square tiles and small round magnets at Home Depot, as well as multiple sheets of awesome scrapbook paper at Hobby Lobby (one of my many happy places!). I cut the scrapbook pages into 1 7/8″ x 1 7/8″ squares so they’d be slightly smaller than the tiles. Then, I took that trusty Mod Podge and a clean paint brush and adhered the scrapbook squares to the tiles. Once all the paper is adhered to the tile, I put one more coat of Mod Podge over the top to secure it really well. Next, I let them all dry completely (wait at least an hour so they’re nice and secure). After they were completely dry, I cut the mesh backing in between each row of tiles and pulled the mesh backing off of the tile sheets to separate each of the tiles from one another. Some tile sheets use glue instead of mesh, so just cut the glue as close to the tile as you can so you won’t see it from the front. 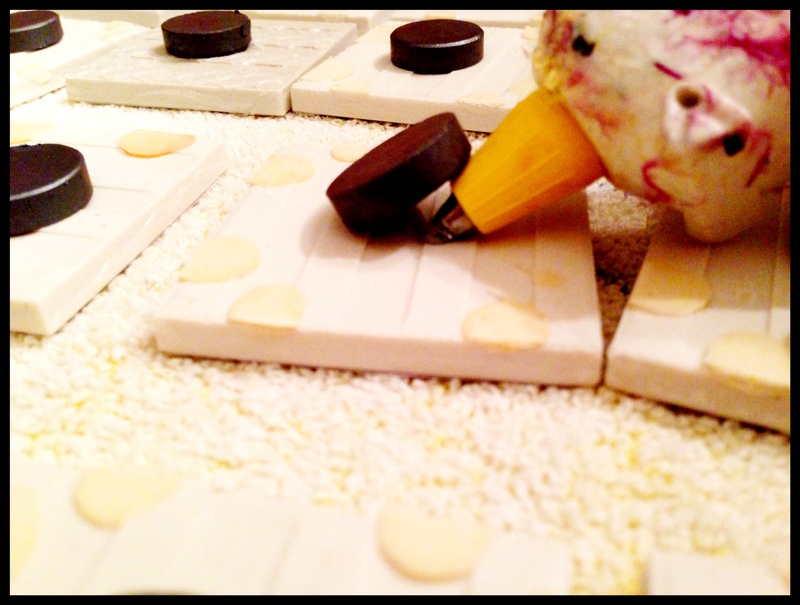 After separating, plug in your handy glue gun and begin gluing the round magnets to the back of each of the tiles. Let the glue set completely (usually about 20 minutes). Once it’s dry, then “voila!” Adorably, festive magnets at your service! Ronda is a paleo-friendly blogger, diy-er, organizer and event planner. You can learn all about her and her many skills at http://therefurbishedlife.com. I was so pleased to open up my inbox this morning to find that I’ve been featured on this super blogger site, The Mother-Boards! They’re an awesome blog site featuring everything from DIY projects to holiday fun to kids stuff. 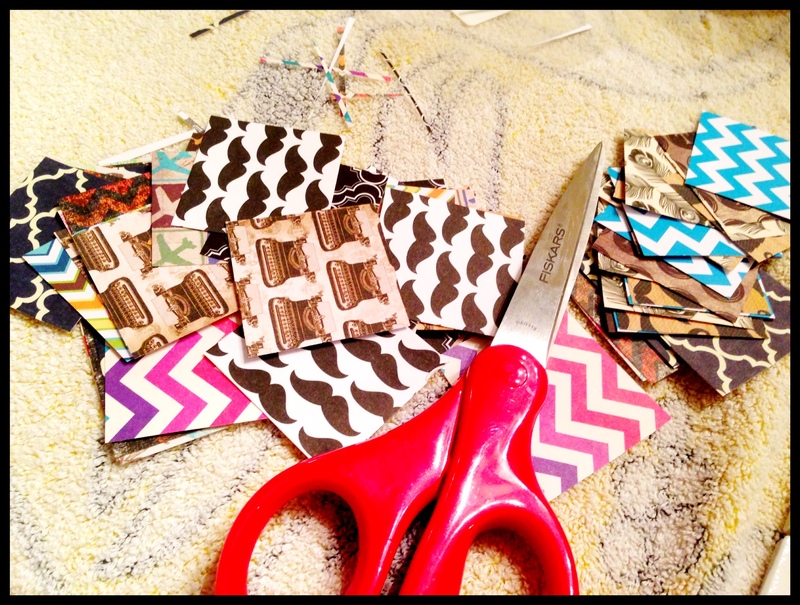 Check out the feature they posted on my DIY Magnets. Thanks a bundle!